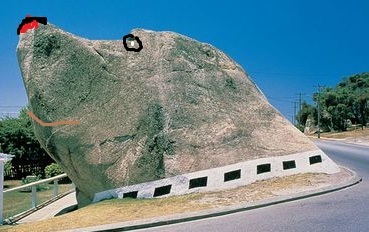 The Dog Rock is a Albany attraction. 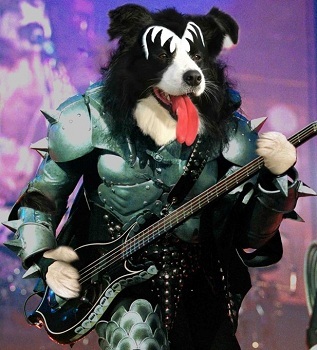 WILL THE REAL DOG ROCK STAND UP? Dog Rock is a well-known local attraction; in 1921 the council decided it was dangerous and was going to blow it up! It caused so much upset to the people that a referendum was held with a vote of 409 to keep it and 207 to get rid of it, it stayed. 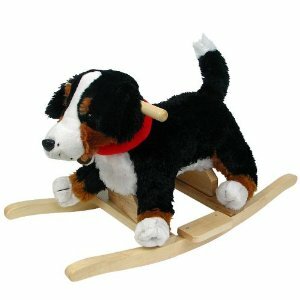 However you will note with current legislation it now wears a collar. We hope the council don’t think the Natural Rock Bridge is too dangerous! 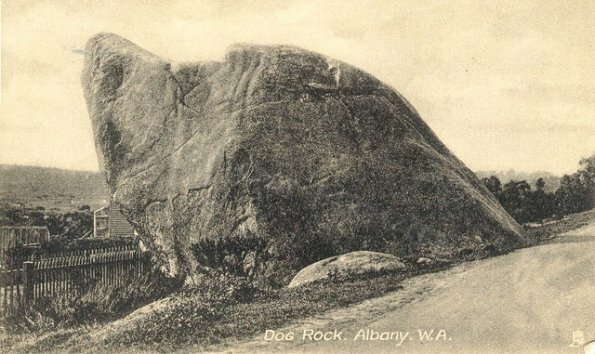 Over the years Dog Rock has been the subject of legends since Albany was first settled by Major Edmond Lockyer in 1827. The Story which got the greatest interest was published in the Teachers Journal in May 1930 by T.H. Roberts who names his source as Sir Richard Spencer’s Diary? In this version the origin and the name of the rock date from 1840. At the time a settler named John Silverthorne lived with his family in an isolated cabin on Mount Clarence. 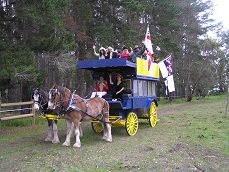 The mail ship only visited Albany twice a year when the few settlers would rush to collect the mail and socialise with the ship’s crew. Silverthorne and his Wife went to meet an arriving ship leaving their three-year-old daughter, Betty, asleep, guarded by her spaniel, Victor. When the parents returned they found their daughter surrounded by natives, who yelled and ran towards her. The dog snapped ferociously at the aborigines who reacted by throwing spears at it but not at the child. The Silverthorne’s buried the dog on the western slope of Mount Clarence but a wild Storm in the night washed the grave away. The following day the granite boulder, in the shape of a spaniel’s head, mysteriously appeared. It has been there for thousands of years. It was disputed at the time of Publication by Mgrs. A.Y. Hassel who wrote that her mother-in-law stayed with Lady Spencer between January and March 1839 en route to Sydney on the Dawson. Lady Spencer told her that the aborigines called the rock “Yacka” and the nearby rock opposite The Albany Catholic Church “Yacka Nint”, meaning dog’s tail. She also said that the aborigines would not camp, or even shelter from rain, under the Dog Head Rock. Over the years the European population of Albany has become rather possessive towards Dog Rock. So no matter which way you look at it, it is a Dog Rock or a Rock Dog!!! 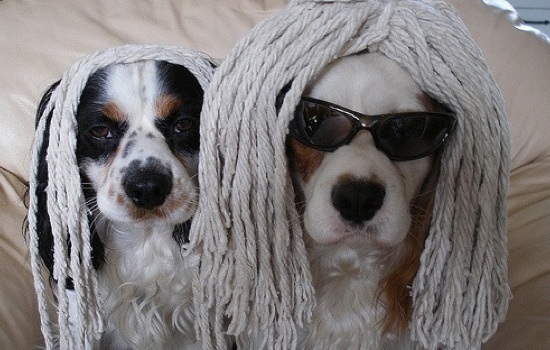 Dog Rock has been brought to you by Kalgan Queen Cruises where you dont rock too much!